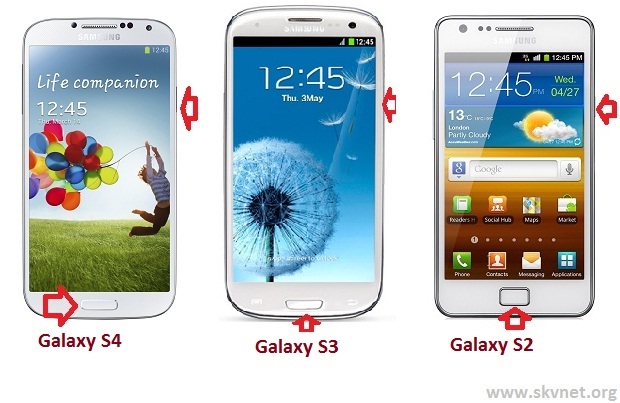 Taking screen image from your Galaxy S4, Galaxy S3 and Galaxy S2 is pretty simple and straight forward. You need not install any specific application to do that. Goto any image or webpage on your Galaxy S4, S3 or S2, which you want capture as an image, and then press the ‘Power’ button and ‘Home’ button at the same time, as shown in the below diagram. You will hear a shutter click sound when the screenshot is taken, and you would see the status of saving image on the top of the status bar. If you would like to view the captured screenshot, you may go to the ‘Gallery’ section of your phone. 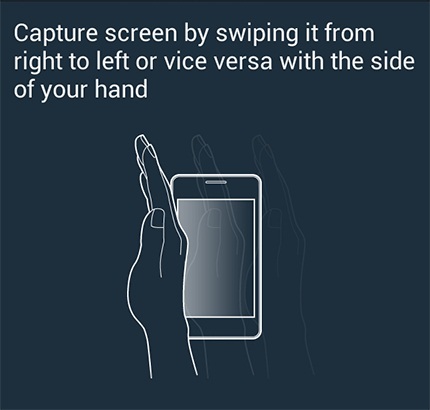 In Galaxy S4, and S3, you can capture the screen with Swipe motion of your hands on the phone screen. Go to ‘Settings’ and then Motion. Move down to the ‘Hand Motion’ section and tick the ‘Palm Swipe to Capture’ option. Come out of the settings page. Then go to any webpage or screen image where you want to capture, and swipe your palm, close to the screen. You would find the screenshot being captured. I was so confused about what to buy, but this makes it unedrstandable.